The Living Wisdom School is committed to empowering Women Leaders who are attuned to the Sacred Feminine and Indigenous Wisdom Ways. If you are called to make a difference and value sisterhood, this is your place to blossom. *You MUST be personally invited by Amanda Elo’Esh into the circle. Personal interviews are available on a first-come, first serve basis. To claim your complimentary interview, please sign up for a 60 Minute “Break Through To Success” Discovery Session HERE. ARE YOU READY TO CLAIM YOUR PLACE ON THE THRONE? WHEN: We meet on the SECOND SATURDAY OF THE MONTH from 11:11am until 9:39pm. You will have an accountability partner to support you in your prayers, visions and intentions and to help you dance more gracefully with your shadow. 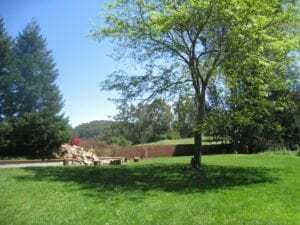 WHERE: We gather at The Center for Living Wisdom in the East Oakland Hills of California, a beautiful & secluded, private land with a Temple, Sacred Fire Circle, access to 1,000+ acres of natural land and more. Address provided upon payment & registration. WHAT: We share a health-centered, gluten-free potluck meal at dinner time (organic, sugar-free whole foods are strongly encouraged & special dietary needs are shared and honored based on who’s in the circle). HOW: We use ritual, play, archetypal embodiment, working with the elements and sacred arts to connect with Indigenous Wisdom and the Sacred Feminine in a way that will help you to safely release your inner Wild Woman, grow your Divine Feminine Nature & shed the layers that have kept you small and disconnected from your own inner source of wisdom and power. 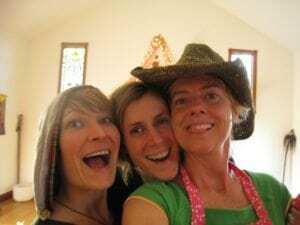 WHO: This group will be less than 20, extraordinary women who have the ability to honor all the agreements set forth for safety and maximizing JOY. 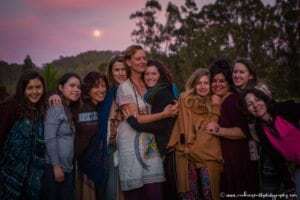 Each month we gather for one full day in a sacred circle to feed the Divine Feminine and learn from Her directly through: OPTIONAL Micro-Dose of Sacred Plant Medicine (Huachuma/San Pedro), ritual, sacred arts, guided journeys, altar work, direct communion with Nature & the Elements, interactive experiences and didactic offerings. 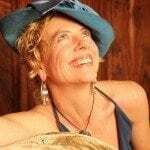 Being a LIVING Wisdom School, whatever gifts each initiate brings to the circle both cultivated and newly sprouting in the moment are welcomed, nourished and celebrated. We also welcome the shadow here and recognize that the shadow is a beautiful teacher and guide who is a welcomed guest. Everything that shows up is considered perfect and a gift from the Goddess. Tuition for the Living Wisdom School is requested to be paid in full at the beginning of the circle. Monthly payments can be arranged, but please know that your financial contribution is requested despite your ability to be present at each circle as an energetic exchange to keep the integrity of the circle. 1. We are all perfect and Divine. There is nothing imperfect about any person or any circumstance. Our aim is to accept and dance with the perfection of what IS. 2. The wounding and “shadow” we carry with us is a precious teacher that holds pearls of wisdom and, very likely, the keys to our Divine Purpose in this life time. Our goal is to understand, embrace and allow this wounding to guide us and, therefore, manifest mutual transformation from the small, limited “wounded” ego-self into the fully actualized Light Being*Star Seed*Wisdom Keeper we know ourselves to be. 3. We hold inside of us all the wisdom we need to follow our Divine Path and answer our Soul’s calling in this lifetime. There are many ways of REMEMBERING * uncovering & illuminating that path. 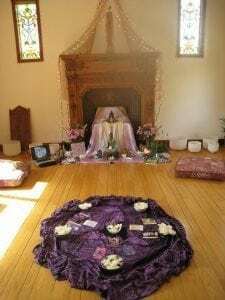 Our mission is to share the practices we have found to be most helpful & honor that each individual can and will make a fully embraced decision for herself as to her path of full actualization. 4. Every feeling, thought, story and idea we have is a reflection of our personal experience, which we have the power to change, especially with the support of sacred witnesses. While these are very real, we recognize that this may not be anyone else’s truth. As a sacred circle of witnesses, we choose to let go of “right/wrong” thinking and simply allow our true reflections and the reflections from the circle to help us see ourselves more clearly. Everything is information and there is no hierarchy of truth. Each member of the circle gets to decide what she will do with these reflections. 5. There is no agenda of growth held for any individual. Each member of the Living Wisdom School chooses her own path, pace and participation level to serve her highest good. While we believe it important to invite movement into the uncomfortable and unfamiliar, we respect the boundaries and limitations each participant holds for herself. 6. We, as humans, are never done growing, and there is no such thing as absolute knowledge in human form. Divine Wisdom is ever expanding and requires the human mind to continue to let go, open and expand as well. Therefore, the LIVING aspect of the Living Wisdom School requires constant change. We are here to invite expansion, for each other, in ways that may be uncomfortable, but must be safe and respectful. As participants, we recognize we will likely feel uncomfortable feelings, and it is our self-authorized responsibility to decide whether to push beyond the comfort, or whether we need to keep ourselves safe. These decisions will always be honored with deep respect and compassion. 7. Competition is destructive. Cooperation is life-giving. We choose to see where we are being triggered into competitive, comparing, jealous, judgmental thinking and give ourselves permission to acknowledge these feelings and seek help to learn and grow through them. 8. Being human, vulnerable, “imperfect,” and fallible is not only accepted, it is embraced and is the starting point for all growth into something bigger & better. We, as sacred witnesses, choose to value and honor these qualities in our sisters and celebrate when an individual can accept and love herself for ALL parts she carries in her being. 9. We choose not to “fix” or “heal” our sisters. We recognize that our SELF is our primary responsibility in this lifetime and frequently, the desire to step out of that responsibility to “help” someone else can be a form of abandonment. We choose, in the Living Wisdom School, to continue to stay focused on our own personal growth & healing and offer support outside of ourselves only as it is called upon. 10. We recognize that advice, medicine, instruction and any other form of external supplement to our own process must be received with personal authority and discernment. We choose for ourselves what we take in and what we do not. No matter what is being offered or participated in, we honor our own inner knowing FIRST. 11. We recognize that transformation does not stay compartmentalized and that this experience is likely to change EVERYTHING. Dissolution of that which no longer serves will be accelerated. We acknowledge that we do not have control over that which dissolves and that which remains. We choose to stay committed to the circle and to ourselves so that we have continuous support and recognize that our reliable participation is essential for a strong and safe container. 12. ALL beliefs are honored. All practices and actions that honor the foundations of this Living Wisdom School will be embraced and treated without prejudice. As we bump up against old wounds and limiting thought-forms that are uncomfortable with new ways which honor the life, happiness & authentic self-authority and well-being of all, we choose acceptance OVER exclusion and dedicate ourselves to finding understanding, mutual love and appreciation. 13. We recognize that while there may be facilitators, teachers and guides, no person is more valuable than anyone else. While we give respect to our teachers, we recognize that all humans are limited and rely on their fellow humans for growth. WE ARE ALL A NECESSARY AND EQUAL PART of the experience, though the roles we play will be different. 14. Honoring the Earth & all living things, we strive not only for sustainability, but to give back to the elements which create life. We seek cooperation & support in refining our methods towards a more deeply reciprocal nature with all life. THESE FOUNDATIONAL BELIEFS ARE OPEN AND LIKELY TO EVOLVE.